Dental patients in the UK are no longer happy to settle for dental care which simply keeps their teeth healthy. With advances in modern dental care has come a wide range of procedures which also enable a patient to have teeth that look great as well as improving their functionality. At Foxhall Dental Surgery, in Ipswich, we offer our patients a wide selection of these procedures which are listed, at a glance, below. Brief details and benefits are included but for full information, please visit the relevant page. Dental veneers are often said to be like false fingernails for the teeth because of how they are fitted. Essentially, they are very fine layers of porcelain which are made to fit precisely over the front of prepared teeth. Veneers are used to whiten very severely discoloured or stained teeth, to mask cracks and chips and also to ‘close’ gaps at the front of the mouth. 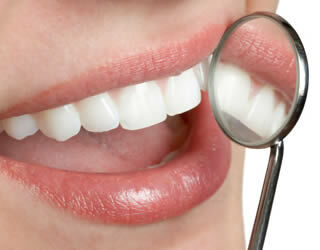 Teeth whitening procedures are extremely popular. This is due to the procedure being affordable, whilst also producing dramatic and near-instant results. The procedure itself can be done in approximately one hour and is entirely pain free. Orthodontics, or dental braces, used to be much maligned as they were not discreet at all, leaving that familiar “train track” smile for their wearers. Modern adult braces though, often referred to as ‘invisible braces’ are, as the name would suggest, significantly more discreet as well as far more comfortable to wear. Many adult braces also take far less time to work than the traditional metal braces; an added bonus for all of our patients. 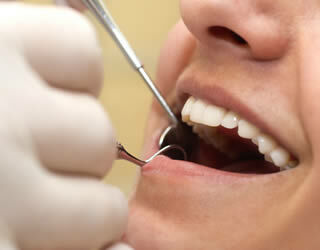 A dental crown is a popular method of strengthening a badly damaged tooth. It can also be used to improve the appearance too. Usually made from porcelain or ceramic, a crown is prepared by taking impressions which are then passed to a dental laboratory for manufacture. Once ready, the crown is attached to the damaged tooth which has been pre-prepared to ensure a good fit. A dental bridge is used to replace a missing tooth with a man-made version supported in place by attachment to healthy teeth directly adjacent to the gap. Cosmetic fillings such as white fillings, inlays and onlays, are a popular alternative to standard amalgam fillings which have been the norm in dentistry for many years. Although once considered a weaker option, white tooth coloured fillings are now much stronger and can be used for the rear teeth as well as those near the front of the mouth. Need to improve your smile? Please get in touch using our contact form or call the practice directly. At Foxhall Dental, you can trust us with your smile.